"The days are long but the years are short". We had to chose a picture to a quote we like. I love this quote. And I hope this picture reflects what I mean. After pre-celebration on the week-end with my family, finally, the real birthday comes. 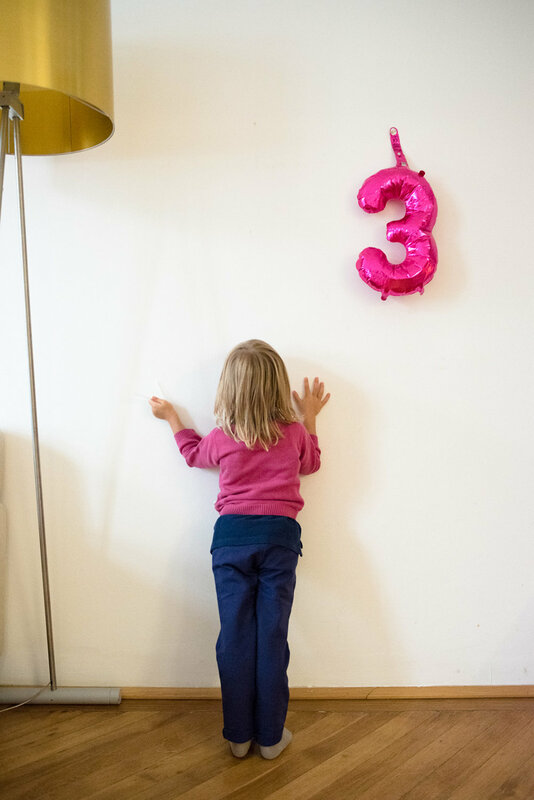 On 17th of October, 2017, our little girl turns officially three. The thing is: she is not that little anymore. As she keeps also telling us (“Bin I kein Baby mehr” or “Bin kein Wutzi” - because i like to teas her and call her Wutzi often :)). I read this quote above by Gretchen Rubin, and I fell in love with it immediately “The days are long, but the years are short”. Sometimes I cannot wait until she is in bed, I can hardly take a breath for myself and struggle whether I do everything right. And when I look up, another year has passed. It is incredible how quickly she is growing up. How often i would like to slow that down. To stop her from growing out of all that clothes so quickly. To have again such a little baby in my hands. It is tough and I did not believe that I would struggle with that. But it is an ok feeling, and I know my heart is in the right place when feeling that. And everything we do, every day, we leave some impact on them. But the fact is: she is three now, and she is beautiful. She received a couple of presents, a magnetic construction set and a swimming mermaid from Barbie (yes! very girlish, I know, but she loves it). I think it will be the last birthday when she does not demand presents, but simply enjoys whatever we give her (anyhow already much :)). 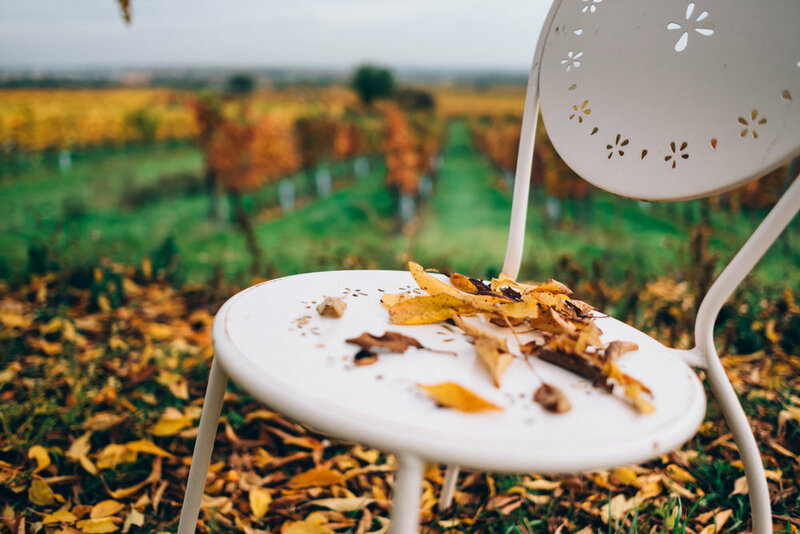 On the week-end, we met with Cordula and drove to Sooss, a beautiful small wine village just about 1 hour away from Vienna. 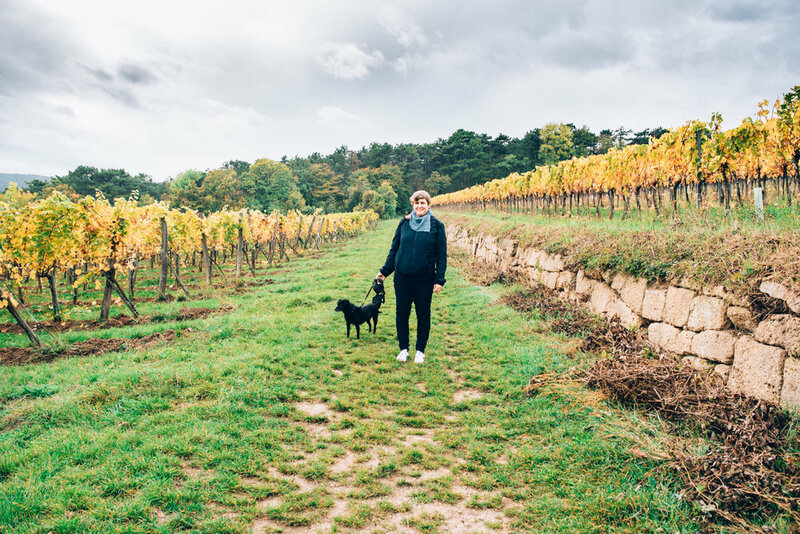 We walked through the wine yards which are in beautiful autumn colors now and had a "Brettl-Jause" at the Heurigen, followed by a good purchase of excellent Austrian wine (Schwertfuehrer, if anybody is interested: really excellent!). I wonder how long our purchase will last :).